Approximately 20 persons in one lakh suffer from oral cancer in India and 90 per cent of it is attributable to the use of tobacco in different forms, said Vice-President Venkaiah Naidu. CHENNAI: Approximately 20 persons in one lakh suffer from oral cancer in India and 90 per cent of it is attributable to the use of tobacco in different forms, said Vice-President Venkaiah Naidu. 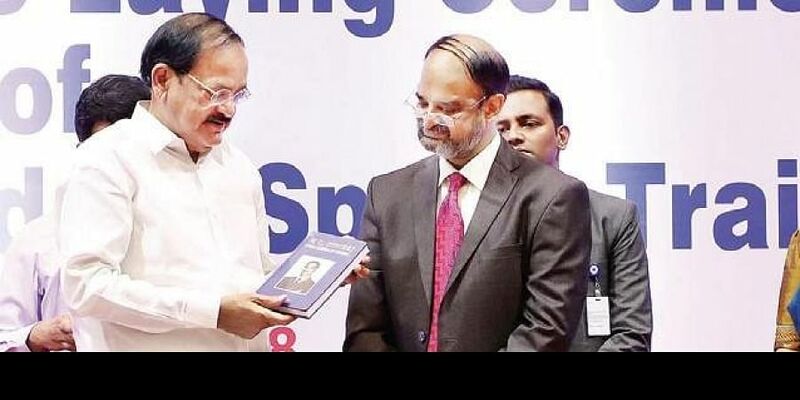 Speaking at the 43rd annual conference of Association of Oral and Maxillofacial Surgeons of India (AOMSI) on Thursday, Venkaiah Naidu said, “India is the oral cancer capital of the world. It is among the top three cancer countries in terms of incidence. So, it is the responsibility of the oral and maxillofacial surgeons to create anti-tobacco awareness”. “Reports suggest that 30 per cent of cancers in India are oral and require professional services of maxillofacial surgeons. But lack of facilities, care and lack of early identification and diagnosis lead to patients seeking care only in the terminal stages. This leads to poor prognosis and high rates of cancer-related deaths,” he said. Naidu also urged the maxillofacial surgeons to create awareness of maxillofacial treatment procedures. Meanwhile, Dibayendu Mazumdar, president, Dental Council of India, said that the Union Health Ministry had also agreed to the proposal to conduct the National Exit Test for BDS graduates, a common test throughout the country to practise in India and it is likely to be introduced from next academic year. “The council has also urged the Union Health Ministry to introduce a three-year MBBS bridge course for BDS graduates so that they could work as MBBS doctors to help them serve in rural areas,”he said. He added that the Union Health Ministry responded positively to the proposal to appoint dentists in all PHCs. AAOMSI and its Japanese counterpart signed a MoU for collaborations in research, knowledge transfer and student exchange. Chennai: Students should develop the moral fibre and strength of character to shape and develop own opinions and viewpoints, said Vice-President Venkaiah Naidu speaking at the convocation of Presidency College on Thursday. “I have always maintained that you as youngsters should never be content with the status quo,” he said. The Vice President also said marks are not the only thing that matters. “You are much more than those numbers. So if you are a Chemistry graduate, never stop yourself from playing the violin or studying law. Please develop your personality in as many ways as you are capable of,” he suggested. Venkaiah Naidu also hailed women for excelling in diverse fields.